SLEP is the abbreviation of Secondary Level English Proficiency Test, it is designed to check the listening and reading capability of non-native speakers. 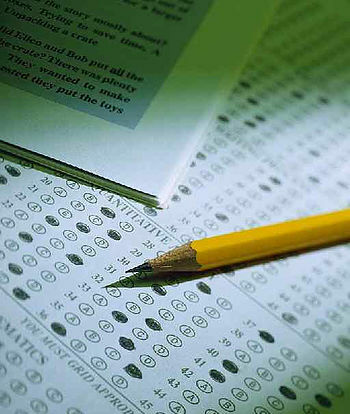 Test papers will be provided by Educational Testing Service(ETS), Princeton, New Jersey. The SLEP test was set in 1980, which has witnessed more than twenty-year development. SLEP is an important base for English teachers to judge the English levels of international students. SLEP has been adopted as reference for class arrangement and enrollment of international students in more than five hundred middle schools and community colleges. Generally the students who provide SLEP results need not to provide TOEFL results. Part I: Listening test (74 questions, 40 minutes): the questions are designed according to frequent oral English in American high schools. Part II: Reading skills (71 questions, 45 minutes): the questions are related to grammar, vocabulary and reading comprehension. SLEP scores shall be 20-67, so parents shall not worry about the scores, for the average score of international students in American high school is 43 only.